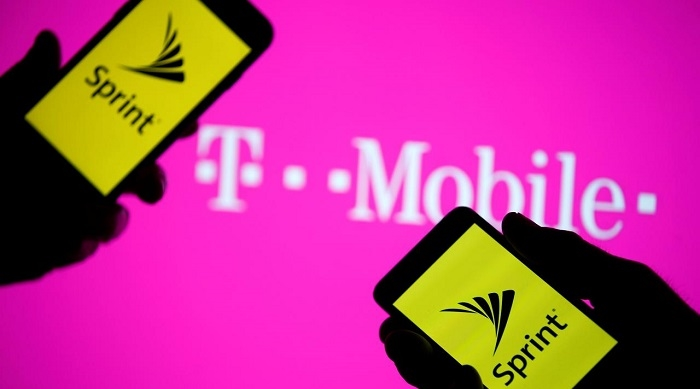 T-Mobile US and Sprint have now announced their definitive merger agreement will be an all-stock transaction at a fixed exchange ratio of 0.10256 T-Mobile shares for each Sprint share or the equivalent of 9.75 Sprint shares for each T-Mobile US share. Based on closing share prices on April 27, this represents a total implied enterprise value of approximately $59 billion for Sprint and approximately $146 billion for the combined company. The new company will have a strong closing balance sheet and a fully funded business plan with a strong foundation of secured investment grade debt at close. The combined company will be named T-Mobile, and it will be a force for positive change in the U.S. wireless, video, and broadband industries. It will have some of the most iconic brands in wireless – T-Mobile, Sprint, MetroPCS, Boost Mobile, Virgin Mobile – and will determine brand strategy after the transaction closes. The combination of spectrum holdings, resulting network scale, and expected run rate cost synergies of $6+ billion, representing a net present value (NPV) of $43+ billion will supercharge T-Mobile’s Un-carrier strategy to disrupt the marketplace and lay the foundation for U.S. companies and innovators to lead in the 5G era. The New T-Mobile will have the network capacity to rapidly create a nationwide 5G network with the breadth and depth needed to enable U.S. firms and entrepreneurs to continue to lead the world in the coming 5G era, as U.S. companies did in 4G. 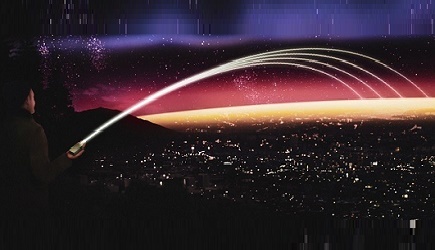 It will be able to light up a broad and deep 5G network faster than either company could separately. T-Mobile deployed nationwide LTE twice as fast as Verizon and three times faster than AT&T, and the combined company is positioned to do the same in 5G with deep spectrum assets and network capacity. The combined company will have lower costs, greater economies of scale, and the resources to provide U.S. consumers and businesses with lower prices, better quality, unmatched value, and greater competition. The new company will employ more people than both companies separately and create thousands of new American jobs. Following closing, the new company will be headquartered in Bellevue, Washington, with a second headquarters in Overland Park, Kansas. John Legere, current President and CEO of T-Mobile US and the creator of T-Mobile’s successful Un-carrier strategy, will serve as Chief Executive Officer, and Mike Sievert, current CEO of T-Mobile, will serve as President and Chief Operating Officer of the combined company. The remaining members of the new management team will be selected from both companies during the closing period. Tim Höttges, current T-Mobile US Chairman of the Board, will serve as Chairman of the Board for the new company. Masayoshi Son, current SoftBank Group Chairman and CEO, and Marcelo Claure, current CEO of Sprint, will serve on the board of the new company. The new combined company will have the network capacity required to quickly create a broad and deep 5G nationwide network in the critical first years of the 5G innovation cycle – the years that will determine if American firms lead or follow in the 5G digital economies. With Sprint’s expansive 2.5 GHz spectrum, T-Mobile’s nationwide 600 MHz spectrum, and other combined assets, the New T-Mobile plans to create the highest capacity mobile network in U.S. history. Compared to T-Mobile’s network today, the combined company’s network is expected to deliver 15x faster speeds on average nationwide by 2024, with many customers experiencing up to 100x faster speeds than early 4G. Ubiquitous high-speed 5G service and IoT capabilities will ignite innovation across industries and create the conditions for U.S. firms and innovators to lead the globe in the 5G era. 5G for All will unleash incredible benefits and capabilities for consumers and businesses. The new company expects prices to drop as competition heats up. The New T-Mobile will have lower costs, greater economies of scale, and unprecedented network capacity – a winning combination that should make wireless, and adjacent industries like cable and broadband, more affordable for everyone. The combination will dramatically accelerate T-Mobile’s successful Un-carrier strategy, which is built around listening to customers and solving their pain points. It will also leverage Sprint’s incredible spectrum assets and strong DNA. Rural communities: Rural Americans seldom have a choice of more than one or two wireless, broadband, or cable providers. The New T-Mobile will end that with increased reach and plans to open hundreds of new stores in rural communities, creating thousands of new jobs. Millions of Americans in rural communities will have more choice and competition, where they may have none today. Broadband: 51% of Americans have only one high-speed broadband option – no choice at all! The combined company will create a viable alternative for millions by enabling mobile connections that rival broadband, driving prices lower and improving service. Business and government wireless services: Today, Verizon and AT&T dominate this category with 4x more customers than Sprint and T-Mobile added together. With its assets and capabilities, the new company will unlock real competition for business and government customers. The Boards of Directors of T-Mobile and Sprint have approved the transaction. Deutsche Telekom and SoftBank Group are expected to hold approximately 42% and 27% of diluted economic ownership of the combined company, respectively, with the remaining approximately 31% held by the public. Upon consummation of the transaction, the combined company is expected to trade under the (TMUS) symbol on the NASDAQ. The transaction is subject to customary closing conditions, including regulatory approvals. The transaction is expected to close no later than the first half of 2019.